It’s that time again! The Easter Bunny is making his way to Fair Oaks Mall for photo ops and adventures! From March 29-April 20, 2019, visit with the Easter Bunny at his favorite local spot: Bunnyville! Meander through a seasonally-inspired village as you wait to meet Mr. Bunny himself! 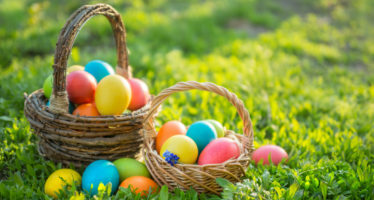 Children with special needs and their families are invited to the time-honored tradition of a visit with the Easter Bunny during dedicated hours. Register here (4/6) and here (4/7). Enjoy these special opportunities to grab a picture with the Easter Bunny and your fur baby! These annual springtime events all happen at Fair Oaks Mall, located at 11750 Fair Oaks Mall, Fairfax, VA 22033.